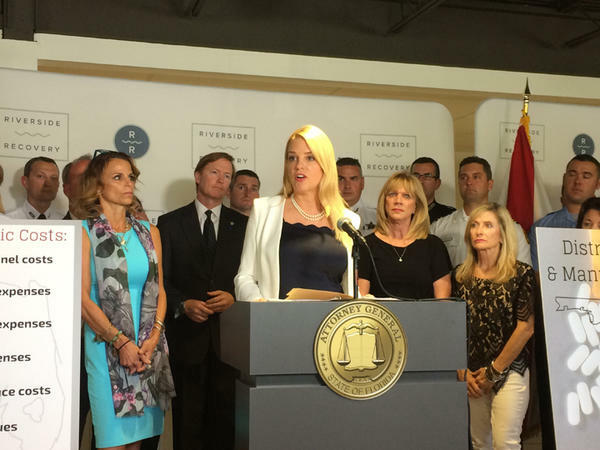 Attorney General Pam Bondi at an event in Tampa earlier this year. Bondi’s office Friday filed a 54-page brief urging the 11th U.S. Circuit Court of Appeals to uphold a district judge’s ruling that the teens --- identified as Jane Doe and John Doe --- should not be able to keep their identities secret if they take part in a lawsuit filed by the National Rifle Association against the state.